Note: Walk-In clinics are closed on major holidays, the Friday after Thanksgiving, and when a holiday falls on a weekend, the weekday after. For a printable page of our hours and locations, CLICK HERE. Accessibility is via a ramp at the rear of the building. Please ring the doorbell to signal staff. The main floor and downstairs restroom are wheelchair accessible. Parking on the street and in the rear lot can be arranged for those with special needs. It may be helpful to call before coming to ensure appropriate parking. (612-870-0565, ext. 100) We are in a yellow house located halfway between Franklin Avenue and Lake Street on Chicago Avenue. There is good bus service on Chicago Ave., Franklin and Lake Streets. On-street parking is available. Fully wheelchair accessible; access is on the Dayton Avenue side of the building. Take the elevator to the 2nd level.Located in a former school building, just west of Snelling on Marshall. Buses run on both major streets. Entry is on the north (Marshall) side of the building. This site if fully accessible.Located in the Paul and Sheila Wellstone Center. 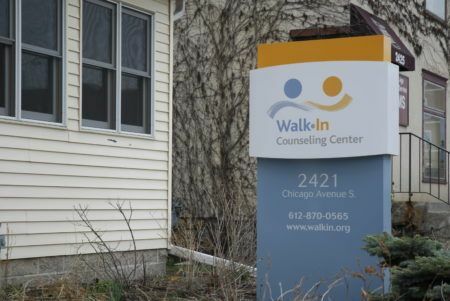 Walk-In provides support, information and problem-solving to participants at an open community event on Wednesday evenings from (approximately) September through April. 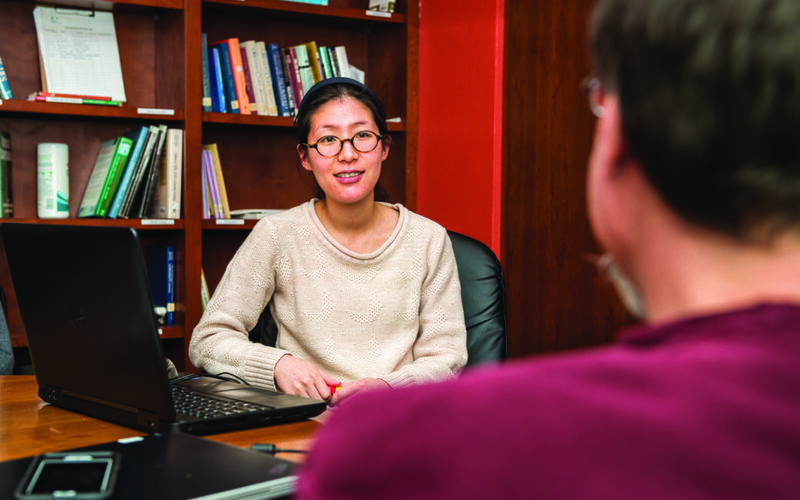 We do not provide 1:1 private counseling at this location. For more information about the Love Grows Here Wellness Center, go to their website: www.eastsidefirst.com/wellness.html or search Love Grows Here Wellness Center St. Paul.